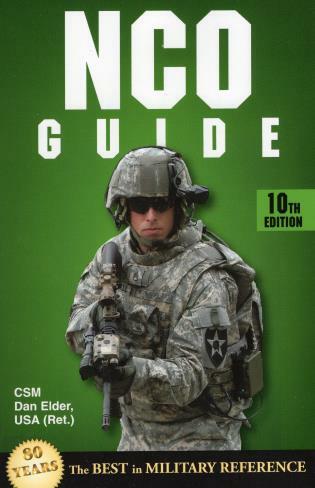 The essential guide for NCOs, this edition has been thoroughly revised and updated with the latest information on training, military justice, promotions, benefits, counseling, soldiers, physical fitness, regulations, and much more. CSM Dan Elder, USA (Ret. ), served on active duty for twenty-six years in noncommissioned officer positions from squad leader to command sergeant major at the battalion, brigade, and nominative levels, culminating in his assignment as an Army Command senior enlisted leader. He served as a first sergeant, drill instructor, and senior instructor and on the staff of the U.S. Army Sergeants Major Academy between operational assignments. His overseas assignments include Germany, Hungary, Bosnia-Herzegovina, and Iraq. He has received numerous awards and recognitions for his service. He lives in Texas.